Our web hosting plans are now updated and better than ever! More features, more options, better value — shared hosting at its best! Now more than ever, PHILEX is your complete web site hosting provider. Key Perl modules beside the standard ones. Yes each course is worth $100.00, and your's free. 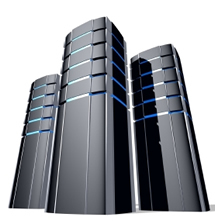 When choosing a web hosting company, you should consider reliability, quality and pricing. The servers you are on should be limited to a number of accounts so they can run quickly and deliver your web page efficiently. The entire servers should be setup so they are protected for emergencies like fire, or some type of failure. In addition, the provider should have equipment coming from top name companies. And you should be able to get all this for a price that is competitive and affordable. Many new hosts not aware of the hosting business promise many features they can not deliver, and subsequently end up going out of business. Hosting is only as good as its team, equipment and track record. At Philex Enterprises, Inc. all of our equipment is run using top name equipment from Cisco®, Ascend®, IBM®, Intel®, SUN®, Microsoft® and other fortune 500 companies. We have a track record of professional service since 1994, and our privately owed with no debt or stock holders to burden us. Yet we have top talent that makes sure your web hosting experience is positive. Our servers are tested continually to ensure your Web Pages are delivered with the fastest speed and quality. We do routine backups of your site and the entire network systems to ensure reliability. Best of all we are able to offer our services for competitive and affordable prices.